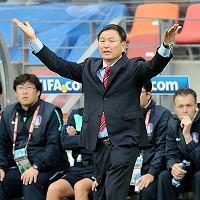 The Korea Football Association (KFA) have started their search for Huh Jung-moo's successor as national team coach. Huh confirmed last week that he was stepping down from the position after leading South Korea to the second round at the World Cup, and that success has created a mood among technical committee members that, if possible, another domestic coach is desirable. "We won't categorise our candidates and exclude candidates from abroad, but we have many excellent managers in Korea," said Lee Hoi-taek, the chairman of the committee.